The average episode rating for this season is 4.4, which is a rebound from last season’s 3.7, but still well below the first four seasons. This season has its good moments. The production team seems to have gotten a better handle on things and most of the episodes feel polished. The actors seem more comfortable in their roles and more willing to stretch their interpretations of the characters. A few episodes deliver new and creative stories. At the same time, a lot of this season feels underwhelming or poorly thought-out. Our lowest-rated episode for the season, at 1.5, is “The Almost People,” the second part of a grimy industrial-punk story about goop-doppelgangers (goopelgangers?) gone rogue in a future acid-mining operation that for some reason happens in the remains of a medieval monastery. (Someone on the Who team clearly has a thing for goopelgangers: see season 4’s “The Sontaran Strategem” and “The Posion Sky.”) The first part was a bit nonsensical and left a lot of unanswered questions hanging (Why is acid-mining such a big deal in the future? Why use goopelgangers for it? Why are they in a medieval monastery? How did any of this get past health and safety, let alone the heritage council? ), but at least it promised the possibility of a good old classic sci-fi “Who’s real?” and “What is the measure of a human?” story. The second part, though, just kind of falls apart and doesn’t pay off. Like last season’s “Flesh and Stone,” and “Cold Blood,” the second half of the story gets sidetracked into serving the season-long arc. There are brights spots this season, though. Things start off at a strong 7 with an ingenious Christmas episode in which the Doctor finds himself traveling back in time to play Ghosts of Christmases Past, Present, and Future and save the soul of a heartless old plutocrat just in time to save a crashing spaceship with his friends Amy and Rory on board. A two-parter follows, “The Impossible Astronaut,” rated 6, and “The Day of the Moon,” another 7, about the Doctor’s friends trying to save the Doctor from being killed by a mysterious figure in a spacesuit and in the process discovering the sinister Silence, who erase themselves from the memory of anyone who sees them. These episodes are a good mix of horror, action, and comedy, and the Silence make interesting counterparts to the Weeping Angels: while the Angels disappear when you look at them, the Silence disappear when you look away. Although this season has its ups and downs, it also has some larger problems. One is the ongoing obsession with an arc story, which gets significantly more convoluted in this season, sometimes to the detriment of what could have been decent stand-alone stories. New-series Doctor Who has a pretty bad track record when it comes to season-long arcs. Most of them feel obligatory and ratings-driven rather than organic and meaningful. Arc-dependent episodes have consistently been some of the worst, while the best episodes have been those that have nothing to do with the arc. I’d be happy to see Doctor Who stop trying to be Lost and focus on being Doctor Who. Another problem, which appeared in earlier seasons but gets significantly worse over seasons 5 and 6, is the amount of time and narrative attention given to other characters talking about how great the Doctor is. It was used as a cheap get-out-of-plot-free card at the end of season 3’s “The Last of the Time Lords,” in which a world full of people thinking good thoughts about the Doctor powers the deus ex machina ending, but in season 6 it becomes a recurring theme as ubiquitous as the whooshing of the Tardis. Even River Song, who started off as a fascinating character in her own right, gets reduced to a chorus girl singing the “Oh, Doctor, you’re so amazing” refrain this season. This character shilling goes along with the continuing attitude that special people get a pass on basic human decency to make some scenes really uncomfortable to watch. How do the rest of you feel about this season? Got any favorites (or anti-favorites) you want to share? 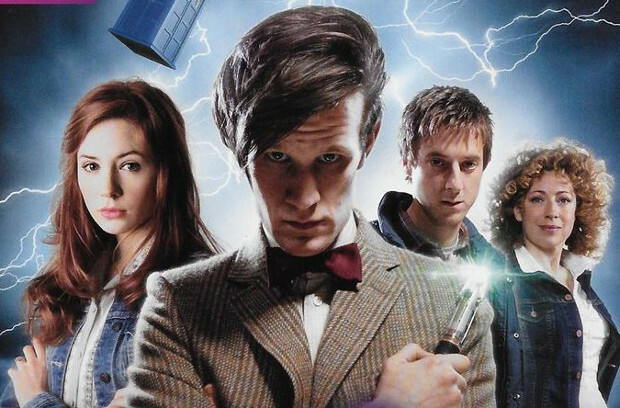 We know that not everyone shares our tastes or out perspective on Doctor Who, so let us know in the comments what you loved or didn’t about this season. I think you should watch “The Almost People” again since most of your questions are actually answered in the show. I’ll take that under advsiement.